First there was Wet Seal’s typo tee. Then last week, it was the JCPenney “I’m too pretty to do my homework so my brother has to do it for me” T-shirt. 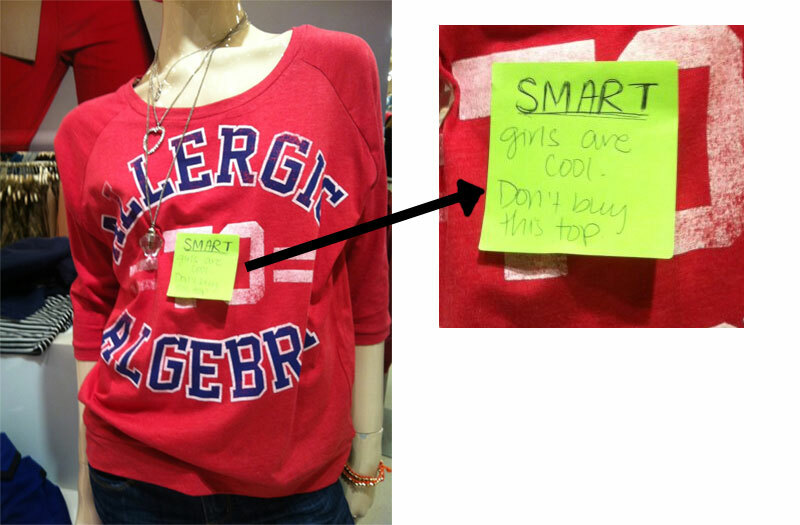 This week, Forever 21 is apologizing for its “Allergic to Algebra” tee. The LA-based fast-fashion emporium has pulled the shirt–but not in time to stop 600+ people on Reddit from turning the situation into a snarkfest. The whole thing is reminding me of the 1992 “Math is Tough” Barbie brouhaha. Or maybe Mike Judge’s 2006 film “Idiocracy” was spot-on. 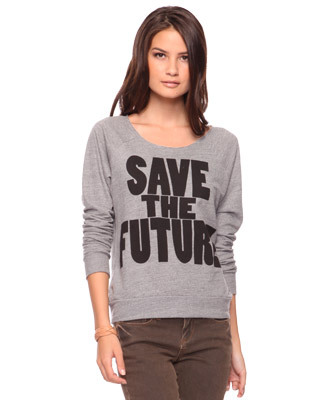 Bet Forever 21 wishes we were all talking about this T-shirt instead. Wah-waaah.